Have you looked at your Facebook or Instagram feed lately? Yes? Then, you’ve probably experienced jealousy. Have you seen your favorite blogger’s monthly income report lately? Yes? Then, you’ve probably experienced jealousy or envy. I’m talking about feeling that ugly green monster, jealousy. Jealousy is seen as a negative, even shameful emotion. And unfortunately, nowadays we sure seem to feel it a lot. Jealousy predates social media. In fact, jealousy or envy was considered one of the Seven Deadly Sins in Christian tradition. However, living in a connected world multiplies our opportunities to feel it. As online bloggers and entrepreneurs, we seem to be particularly vulnerable. Our businesses dictate that we stay connected to keep up with marketing trends. But every blog post or email in our inbox seems to share the details of each Star Blogger’s latest list-building bonanza or six-figure launch. But the side effect of so much information and so many “success stories” is a giant case of envy. This year I started my online coaching business and it seems that feeling jealous is just a click away. Looking at carefully curated social media feeds, it’s easy to feel jealous all day long. With some practice, I learned to turn my relationship with jealousy around. Despite its bad rap, jealousy doesn’t have to be a bad thing. In fact, I now use it to inspire my business goals. Jealousy can help drive your online business to new heights if you learn how to harness its power. Let me tell you how. As a weight loss coach, I spend a lot of time teaching my clients how their brains really work. I teach clients to start working with their brains to reach their health and weight goals instead of fighting against it. I’ve been surprised at how the brain changing strategies that I teach transfer really well to building a blog and a business. Optimizing willpower, motivation, and reaching your goals one small step at a time is what change is built upon–whether it has to do with your waistline or your bottom line. If you want to change jealousy into a force for good, you too have to understand how your brain really works. Neuroscientists describe the two ways your brain thinks as System 1 and System 2. But, I like to call them the Boss and The Assistant. The Boss is the slower, conscious, thinking part of your brain. She’s in charge of goals, willpower, and problem-solving. It’s what you typically think of as your brain, but it’s only in charge of 5% of your brain’s activity. The Assistant part of the brain is the faster, intuitive, sub-conscious, habit part of the brain. Ask any Boss how she gets so much done, and she’ll point to her Assistant. The Assistant is the workhorse in charge of 95% of your brain’s activity. But because it’s your subconscious, you don’t know what’s really going on there. And that’s where jealousy usually resides. Jealousy comes from our sub-conscious’ desire to compare ourselves to others. Psychologist, Leon Festinger, believed that a person’s desire to measure themselves to others is so strong that it’s actually a drive—almost as powerful as hunger or thirst. This drive is called the Social Comparison Theory. This social comparison impulse is connected to the instant assessments that the sub-conscious makes of people. The sub-conscious’ snap judgments of others can be traced to the evolutionary need to protect yourself and assess threat levels as tribal beings. There is no reason to feel bad that your brain is wired for social comparison and jealousy. Social contrast has helped people survive through the millennia. Evaluation is just how your brain works to keep you safe. Even though you don’t need it as much as your ancestors, your brain is still wired for the comparison game. With the dawn of law and order and civilized society, you just don’t have the same life-threatening comparisons to make. Ironically, with the advent of the social media era, the opportunities for our brain to make quick, sub-conscious social comparisons are 10x. And those snap judgments of others and their social stations can cause you to feel either good about yourself or bad about yourself depending on your perspective. If you judge yourself to be on a higher rung on the ladder of success, then you feel better about yourself—a downward comparison. If you feel like someone has a higher social standing than you, it’s called an upward comparison. Upward comparisons often lead to unkind feelings toward others, lower self-esteem, and even depression. In the online business world, we’re surrounded by claims of instant business riches and overnight blogging success. It feels like everyone has climbed past us on the success ladder reaching to greater heights, and we’re always comparing upwards. I got caught in the Jealousy Trap when I first started my business. It seemed as everyone started their business before me, had more success than me, or just seemed to actually know what they were doing. Jealousy is based in the sub-conscious part of the brain, so it might color your mood without you even knowing it. Start trying to catch twinges of jealousy that flit across your consciousness. Be on the lookout especially when you’re on social media or looking up the ladder at those you admire. It’s part of being human, so don’t feel bad that you feel envious. It’s easy to lose our bearings in the online blogging and marketing world. We’re always aiming for the next shiny milestone—more subscribers, more page views, or a bigger launch. But those things in and of themselves probably aren’t the key to our happiness. Just like I teach my weight loss clients that there is no one-size-fits-all set of weight loss habits, there is no one-size-fits-all recipe for business success and happiness. Is it the fact that the blogger has a fun, sarcastic wit? Or is it that she has a raving audience who support her because of her giving attitude? Or maybe it’s that her business seems to have a defined direction and business plan. When you identify which pieces of the blogger’s story are causing you envious twinges, you can use that information to map out your business future. Jealousy gives you important signposts to help you plan out what a “happy” successful business would look like for you. It helps you to identify which direction and goals you should move towards. After identifying what makes you feel jealous, figure out one small step you can make towards that business goal today. For instance, let’s say you realize that you are jealous of another blogger’s collaborations and many blogging friends. You decide that a small step you can take today to make friends is to ask bloggers in an entrepreneur Facebook group to join a smaller accountability group with you. Then make a larger step towards your goal that you can work towards over the next couple of months. To make a larger step towards your business friendship goals, you could make plans to attend a blogging conference in a few months. There you will work on making some real-life blogging friend connections. 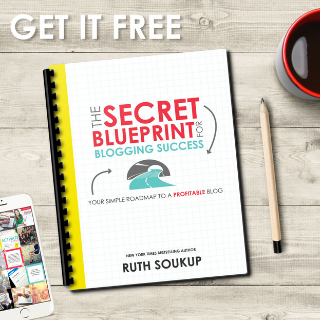 Related: Blog Planner – Crush Your Blogging Goals! With so many options and business models out there, knowing which direction to aim is super valuable information. Take a moment to be grateful to the blogger that provided you with this goal-setting guidance and inspiration. After I realize why I am jealous and make steps towards my new goal, I take a moment to be grateful to the blogger that showed me what is possible in my business. And here’s the coolest thing, that thankfulness transforms my negative feelings of jealousy into positive feelings of gratitude and happiness. You can either say a “Thank you” towards that person in your mind, journal a thank you, or even send them an email. Gratitude for their inspiration will lead to an instant turn around to your mood and motivation! Finally, remember to let jealousy help you figure out your goals, but then focus on yourself to look for progress. Sonja Lyubormirsky, the author of The How of Happiness: A New Approach to Getting the Life You Want, says that “people who are happy use themselves for internal evaluation… A happy runner compares himself to his last run, not to others who are faster.” In other words, you use jealousy of other runners to find out that you want to run faster and then aim to beat your own times. So next time that ugly green monster, jealousy, taps you on the shoulder. Don’t try and ignore it and pretend it doesn’t exist. 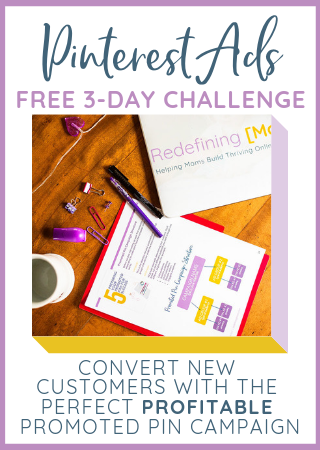 Use these five simple steps to transform this negative emotion into a business game-changer one small goal at a time. 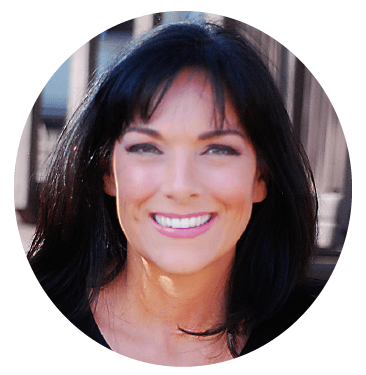 Treva Garcia is a registered dietitian/ nutritionist, personal trainer, and health coach. After her struggle to lose 40 pounds after thyroid disease, she knew there had to be a better way to lose weight. She became obsessed searching for the answers. Her quest led her to research in nutrition, exercise science, hormones, neuroscience, behavior change psychology, and habit formation. Through all this study and her own weight loss journey, she’s developed a unique habit-based approach to losing weight and getting healthy—all without dieting. She has since helped hundreds of people lose weight by teaching them to work with their own bodies, lifestyles, and preferences to develop a personalized habit plan. Her favorite thing to do is order books from Amazon (and reading ½ of them). She likes lifting weights (but only if the gym isn’t too crowded). She has four kids—with the oldest a freshman in college and her youngest starting kindergarten this year. You can find Treva at Real Healthy Habits.